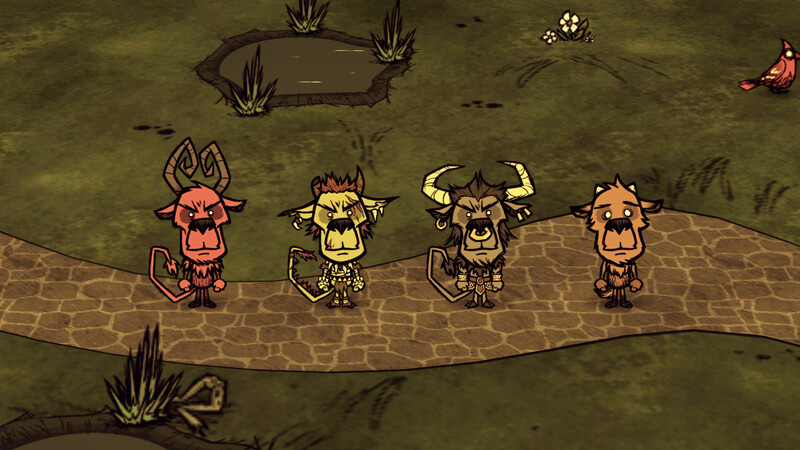 Over the course of the three years and change since Don’t Starve Together launched, Klei has been quite the busy bees, expanding the game in many ways: new playable characters, modes, enemies, timed events, and of course, an assortment of bug fixes and tweaks. While the latest addition, Wortox the fiery imp, might not set the game ablaze (get it? ), his arrival is still not to be underestimated. Originally (eons ago, I’d wager), Wortox was but a gentle, mischievous forest creature, naught but a care in the world. Unfortunately, that didn’t last, a curse and the loss of a close friend forever changing him. For the better or worse, though? Well, that remains to be seen, but whatever the case, he is now part of the ever-growing Don’t Starve Together roster, with several ways for players to unlock the little rascal. As is the case with virtually every playable character in this crazy world, Wortox also comes with a rather unique set of abilities, including teleportation and the healing of allies. Unfortunately, he is also a bit of a troubled creature, one with a body craving souls to sustain him, normal food only being half as effective. Do be careful not to overload him with souls, however. Just… trust me. Next on the menu? Willow, set to coincide with “the first major game update”, at the end of April. Oh, and before I forget: thanks for all the post-launch support, Klei! Don’t Starve Together (and the Wortox Deluxe Chest) is available on Steam, carrying a $14.99 price tag.